Photo: Photo-60 - Modified | #5-1 - Freeman and Johanna Marie (HANSSEN) Hughett Family album | E. RAY AUSTIN | Fotki.com, photo and video sharing made easy. Family photos of Freeman and Johanna Marie (HANSSEN) Hughett, and other family members. Some family members are from Norway where Johanna Marie (HANSSEN) Hughett was born. NOTE from Walter Williams: A Coker family lived in the Hughett house when I went to Norma School last of the 1930"s and first of the 1940's. They farmed the lower River bottom and operated a Mule Coal Mine, way up on Brimstone Creek. Two little kids, Johanna and David are Ralph Hughett's. 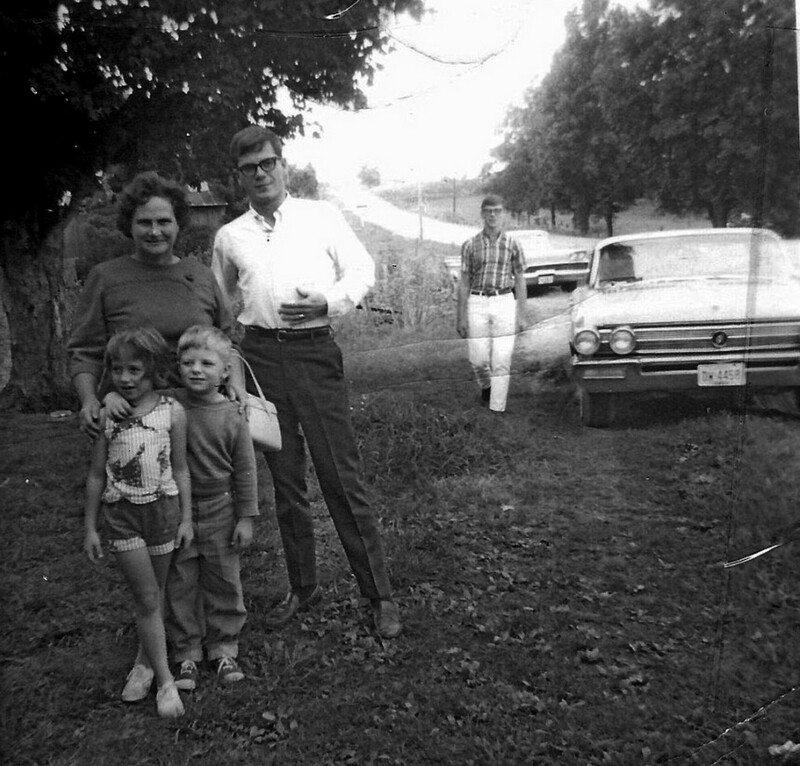 The woman is Margie, wife of Elmer Lee Hughett, and the two young men are their boys, Donnie and Steve. I have made some light adjustments and it looks better. Can you tell where the picture was taken? Do I have the names in this picture correct? Someone gave them to me. So, the two young men what are the names and which is standing next to Margie and the two small kids?